The creator of Yi Soon Shin comic book series launches a Kickstarter campaign to fund the production of the forth book entitled The Fallen Avenger in the Yi Soon Shin series. 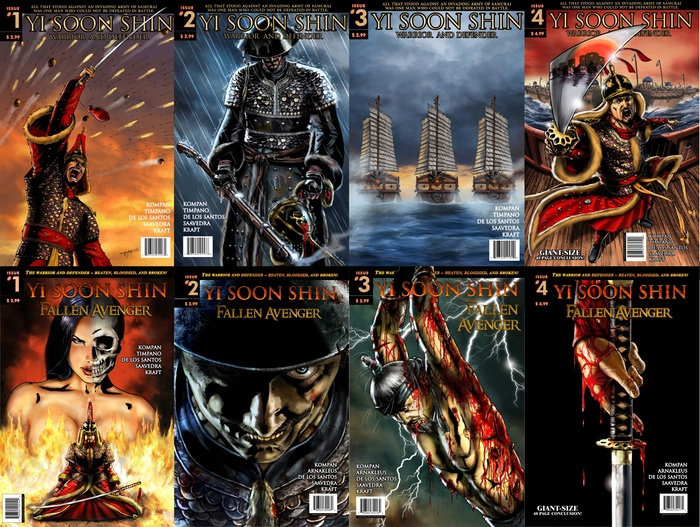 5 years ago, a Chicago comic book creator launched the The Yi Soon Shin Trilogy. 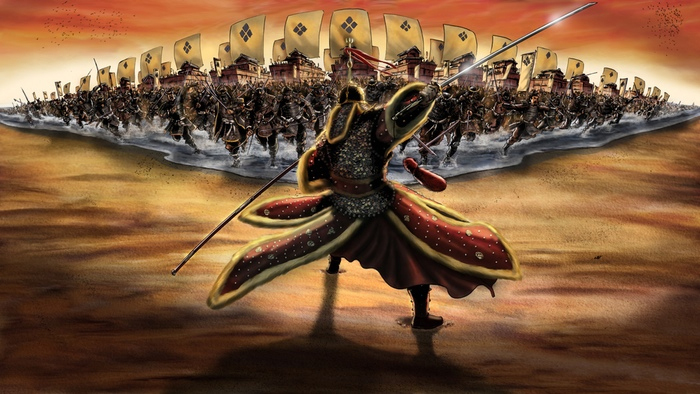 His comic is based on the true story of a Korean warrior of real and epic proportions, sworn by duty and honor, to protect his people at all costs from the devastating and brutal Japanese invaders who threaten to conquer his country. Much like the Nazis during World War II, the Japanese were known for having little remorse for the innocent civilians of Korea. They raped women, enslaved children and killed elders. All that stood against them was one man who could not be defeated in battle. Kompan invites readers to experience the first three issues of the book for free at his new website http://www.yisoonshin.com. Be warned that Yi Soon Shin is not a book for the faint of heart. This is a book for mature readers. Kompan hired artists from around the world to bring his vision into a reality. Artist Giovanni Timpano from Italy. You may also him know from his work on GI Joe, Hellraiser and The Shadow. Artist El Arnakleus brings the illustrious influence of Frank Frazetta to the series. Argentenian colorist Adriana De Los Santos turns every page into a painting. Joel Saavedra, also from Argentina, letters the book. And finally, he brought on an editor, who soon became his co-writer, comics veteran David Anthony Kraft who is best known for writing a comic called The Defenders for Marvel, which is about to be made into a TV series by Netflix. Yi Soon Shin has never had a solid means of distribution to book stores and the direct market. No publisher had the courage or vision to launch this project--an unknown property is a risk in a publishing world of super heroes and licensed properties. So Kompan risked everything, found financing and did it himself. "Over the course of the last five years, Yi Soon Shin has made a big impact on the comic book industry by moving 40,000 comics so far. We project to break 50,000 sales by the end of the year. YI transcends all boundaries - women love it as much as men. All it takes is to get it into their hands," says Kompan the series creator. In 2013, Yi Soon Shin sold over 11,000 books in a single year and sold out consecutively at 14 conventions across the US and Canada. Even Marvel's Stan Lee himself loves the book. 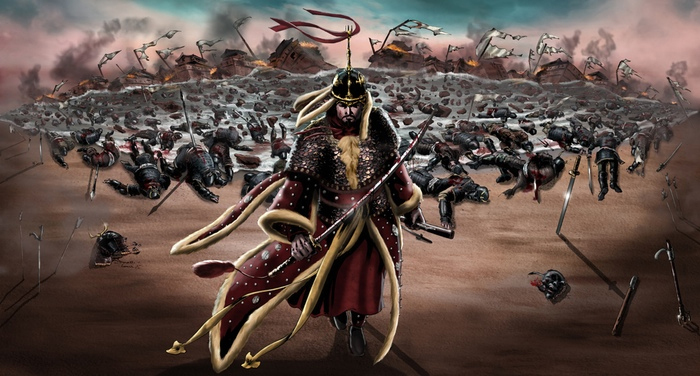 In fact, he loved it so much, he agreed to write the foreword to the Yi Soon Shin: Warrior and Defender graphic novel. Kompan and his team mean business when it comes to making Yi Soon Shin the best possible project. Onrie says that although it is a great challenge overseeing the production and distribution of Yi Soon Shin, he’s learned a lot over the years and really enjoys the work. He is driven to his vision through to the end which is why he is now on Kickstarter! Five months ago, Kompan’s financing fell through for reasons unrelated to his book’s success. He is now more determined than ever to complete Yi Soon Shin. The money that he is raising is being used to fund the art for his next book. He encourages readers who are already fans of the series to be a part of the campaign because without their support, he won’t have the money to complete his series. Kompan set his goal to raise $9600USD but would ideally like to go beyond that and raise enough money to fund the rest of his entire comic book series. Anything Kompan raises beyond $9600USD will go towards funding the colors, letters, and editorial costs associated with the book, which will help him and his team a great deal. 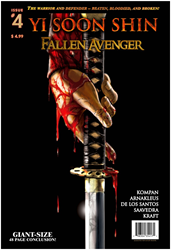 Anything beyond the costs of producing and printing Fallen Avenger #4 will go towards the editorial costs and printing costs associated with the Fallen Avenger graphic novel as well as the third and final arc of the Yi Soon Shin Trilogy. Kompan reassures backers that their money is not being used to pay him a salary or to help him setup at any conventions. Those are costs that he will continue to fund out of his own pocket. Every dollar counts for Onrie. Those who are new to his series can get caught up through this Kickstarter initiative. Backers receive an instant reward by picking up the books digitally or in print. As an added bonus, anything backers purchase in print will be signed by Onrie himself. The single issues are a great way for backers to get the story. All of Onrie’s books contain the same level of detail in the artwork on the covers as well as the interiors. None of these comics contain any ads - it's all just straight action throughout. 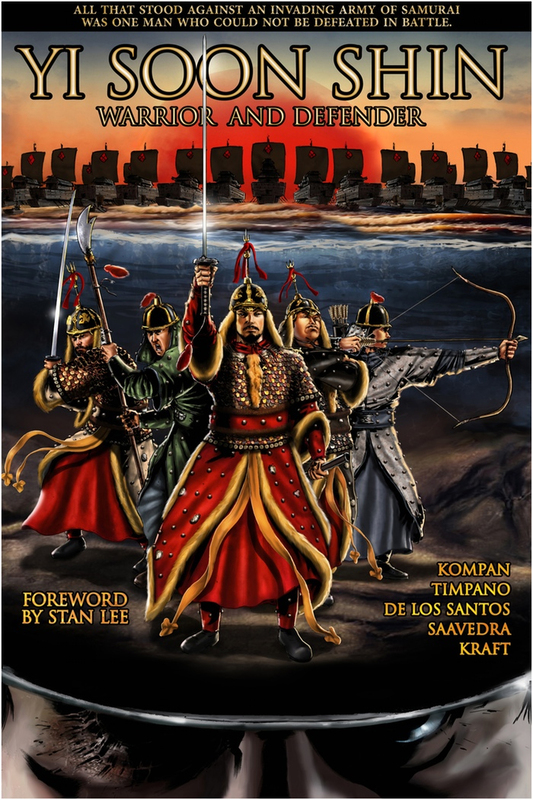 Kompan’s acclaimed graphic novel collects Issues #1-4 of Warrior and Defender and features a Foreword by Stan Lee. It also includes director's cut content, interviews with the creative team, and character profiles! There are over 50-pages of extras in it. If backers are caught up with the series and are looking forward to Fallen Avenger #4 or the hard cover Fallen Avenger graphic novel to come together, they are welcome to pre-order either or both now and be the first in line. Books will come signed by Onrie himself and Series Artist El Arnakleus. Kompan also has some exclusive merchandise put together for his campaign. You can learn more about them by visiting his campaign on Kickstarter.